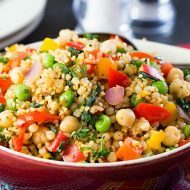 A delicious side dish that's quick and easy to prepare and makes a great accompaniment to meat, poultry or fish. 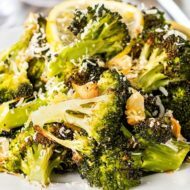 Roasted Fresh Broccoli with garlic, lemon, and Parmesan Cheese, this side dish recipe is sure to be the Best Broccoli of Your Life! 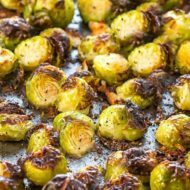 This simple, yet delicious twist on one of our favorite vegetables is the perfect side dish for almost any meal. To name a few, broccoli is a good source of fiber, vitamins B6, E B1, and A. It’s a source of phosphorus, potassium, magnesium, omega-3 fatty acids, protein, zinc, iron, and niacin. And that’s not the complete list! Needless to say, I try to eat a lot of broccoli. I discovered roasted broccoli on a blog post titled, The Best Broccoli of Your Life on an amazing blog called, The Amateur Gourmet. 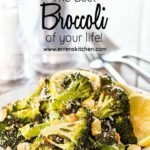 I read the recipe (which is a recipe by the Barefoot Contessa) and thought it sounded good, but as much as I love broccoli, it’s just broccoli – how good could it be? I saved the post and moved on. Today I had some broccoli to use so I thought I’d try it. Let me tell you, this seriously is the best broccoli of my life! Ina Garten uses 4 to 5 pounds of broccoli which I thought would be way too much for a side dish, but boy was I wrong! 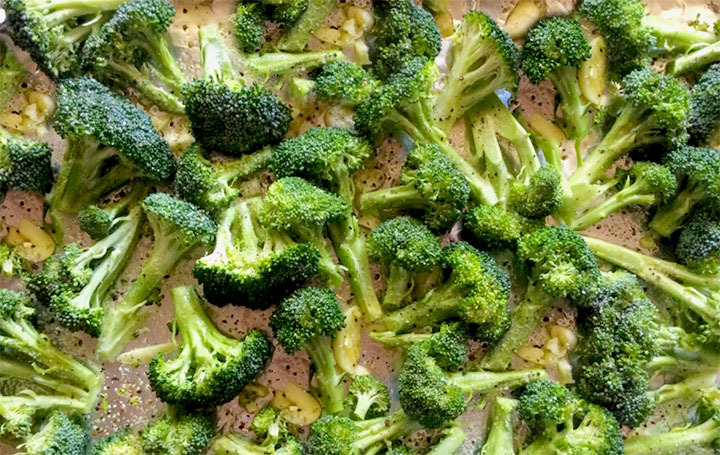 It may seem like a lot of broccoli, but it shrinks while roasting. Plus, it’s so good that it goes fast! Cooking broccoli in high heat, caramelizes the outside, creating crispness and a sweet, nutty flavor. 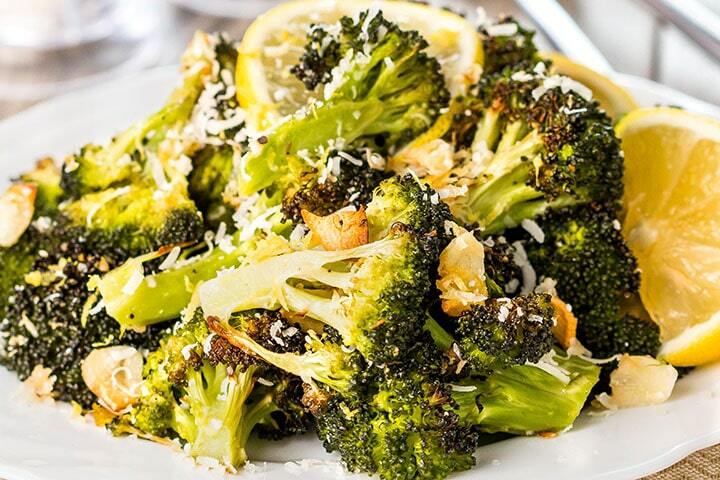 The crisp caramelized outside of the broccoli contrasts well with the tender inside of the florets. 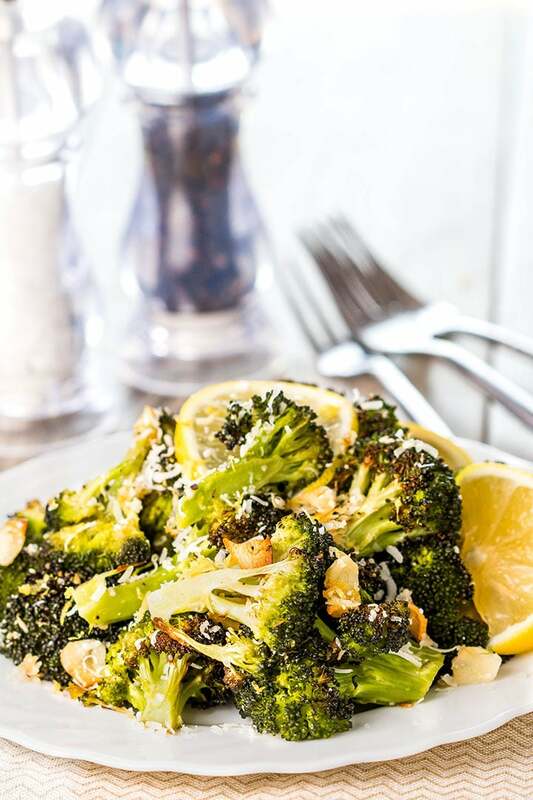 The nuttiness of the roasted garlic and broccoli combined with the saltiness of the cheese and sour lemon is a fantastic combination! 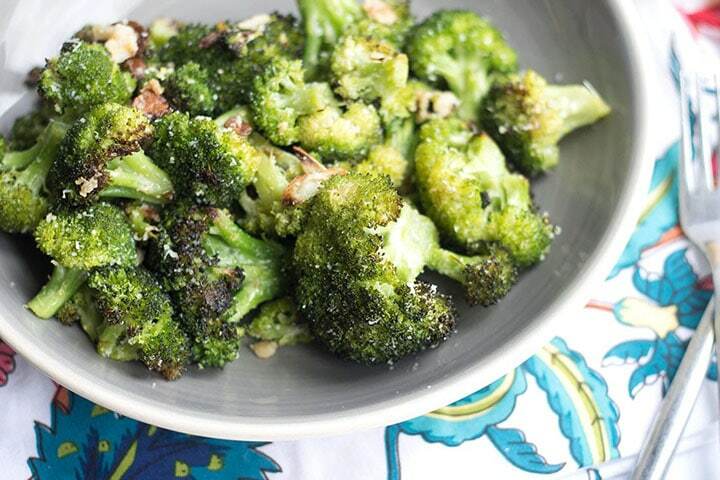 Roasted Broccoli is now my new favorite way to cook broccoli! 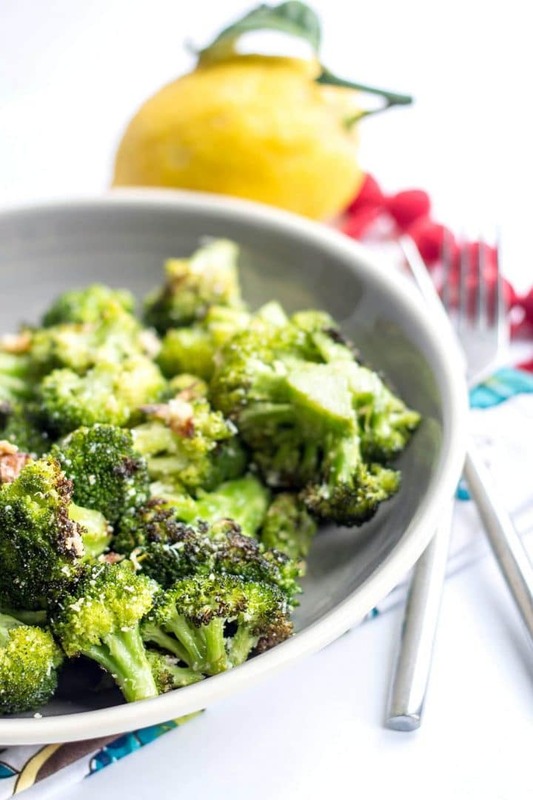 This roasted broccoli recipe has approximately 4g of Net Carbs making it perfect for anyone cutting carbs or following a low carb diet. 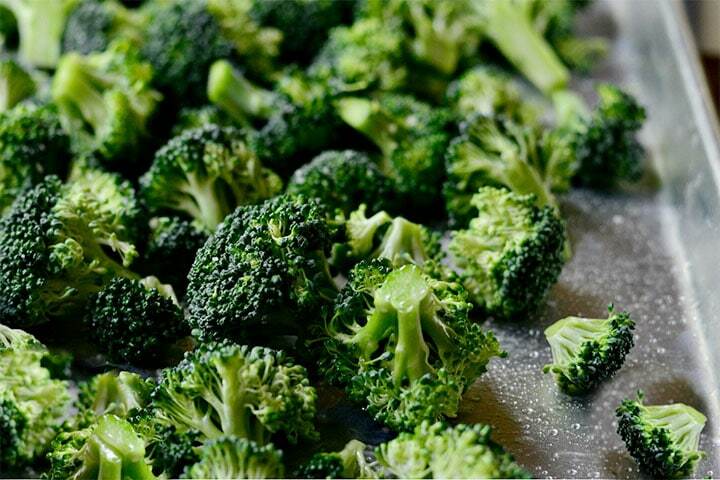 Start with clean, dry broccoli. Lifehack – I use this garlic slicer for thinly sliced garlic. I’m telling you, if you don’t have one, you’ll love because it is amazing! 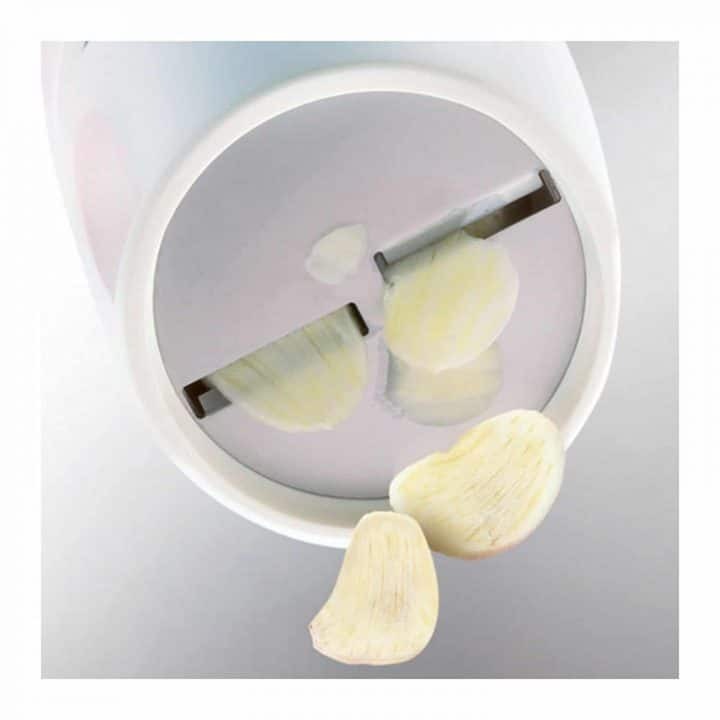 Just fill it with peeled garlic, twist and perfectly thin sliced garlic comes out! Click this link to get one on Amazon.com. Or in the UK, Click Here. Roast about 20 minutes, until crisp-tender and the tips of some of the florets are browned. 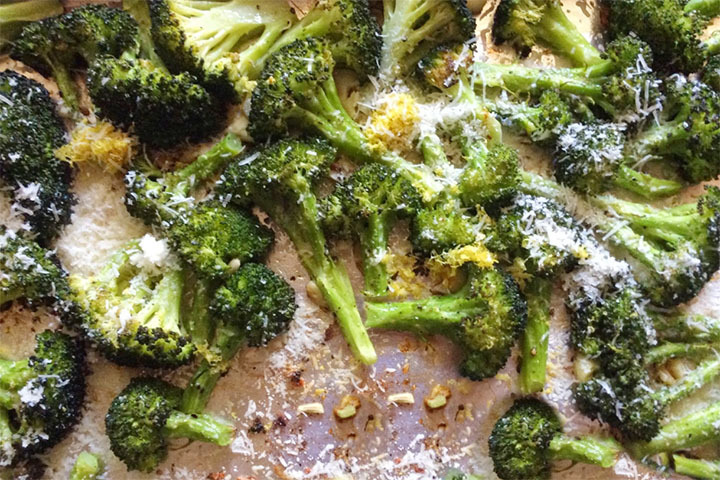 Remove the broccoli from the oven and immediately toss with a bit more olive oil, the lemon zest, lemon juice, and Parmesan cheese. 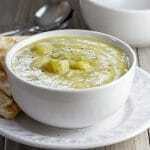 I loved this recipe so much that I’ve started creating similar recipes with other vegetables. So far, I’ve only posted my Garlic Roasted Green Beans, Garlic Roasted Carrots and The Best Brussels Sprouts of Your Life, but I’ve tried it with asparagus and cauliflower too! Look for bright green broccoli with firm, strong stalks. Avoid woody Stems this will turn out hard and chewy when cooked. Don’t purchase broccoli with yellowing florets. Yellow is a sign that it is gone past the stage of desirable texture. Choose broccoli with compact clusters in the florets. The more open the florets, the older it is. Don’t skimp on the oil (even if it seems like a lot), season well, and make sure your oven is hot before adding the broccoli. On washing your broccoli: After washing your broccoli, be sure to dry it thoroughly. The drier it is, the more it will crisp up. For crispy results: If you want an even crisper broccoli, try flipping it halfway through the roasting. It’s a time-consuming task, but it crisps on all sides. Short on time? 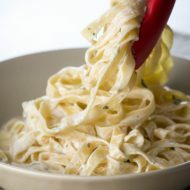 Make this dish even quicker by skipping the fresh garlic and replace it with garlic powder or you can do it simply with just olive oil, salt, and pepper. Cooking for kids? I don’t know about your kids, but I have one that won’t eat anything that even resembles being burnt. 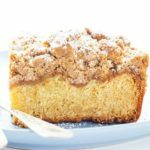 This recipe does get quite crispy, so you may want to keep an eye on it and cook according to taste. 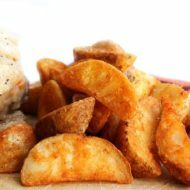 For more texture, try mixing the cheese with breadcrumbs and a little olive oil and sprinkle it on top before roasting. 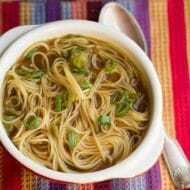 Recipe notes: for this recipe, I went by The Barefoot Contessa’s Recipe but omitted the pine nuts and basil because, after the first taste, I just didn’t think it was needed so my recipe below won’t have it. I also made a much smaller batch, but I’ll give you her measurements of the ingredients I used. Don't skimp on the oil (even if it seems like a lot), season well, and make sure your oven is hot before adding the broccoli. For crispy results: If you want an even crisper broccoli, try flipping it halfway through the roasting. It's a time-consuming task, but it crisps on all sides. This roasted broccoli recipe has approximately 4g of Net Carbs making it perfect for anyone cutting crabs or following a low carb diet. Update Notes: This post was originally published in 2014, but was republished with new photos (old photos below), step by step instructions and tips, and video in June of 2018. Hmm, are shellfish high in crabs? 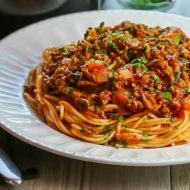 Why is this so high in carbs? 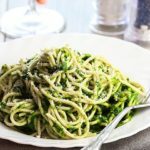 Was it the lemon zest(I don’t even know what that is) because all the other ingredients seem to be standard low carb. Hi Glenda, Broccoli has more carbs in than you would imagine, but because it is so high in fiber, it will take the net carbs down to about 4grams, making it a low carb option, hope this answers your question! Never ate broccoli… till today. I came home to meet them in the fridge, my husband bought them. It’s been there for about a week, tired of seeing them, i surfed the internet for recipes. It turned out GREAT. Added rosemary, onion and habanero pepper. Thanks for this recipe. Hi, Vera, that does sound delicious! I love trying new things, I’m glad you enjoyed! 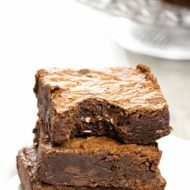 Thanks for this quick and yummy recipe! Can’t find the video for ‘Seriously, The Best Broccoli of Your Life’, is it up here? Hi, Dave Yes there is a video up if you go to “the best broccoli of your life” it is quite far down but it is there! Thank you for your feedback, I’m glad you enjoyed! Yum! Added cabbage and some butter. Didn’t have parm cheese so added more garlic. Like this idea. My husband can’t have cheese, so the hint to add cabbage and garlic is great. Thanks for this feedback Alice, and Sounds so good! 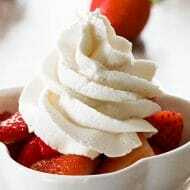 That so so amazing.. 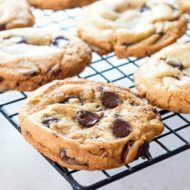 Thanks for your recipe!